Varying colors, transparency and continuously changing shapes – the characteristic features of soap bubbles, inspired this collection. Lighted, their metallic sheen magically transforms to iridescent and translucent. 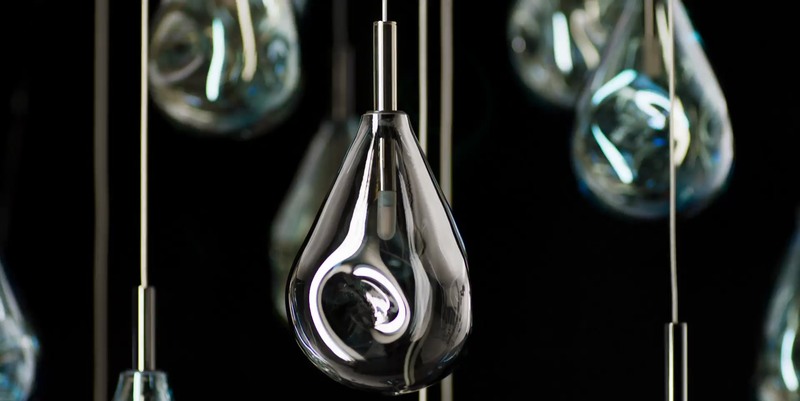 Each piece is hand-blown without a mold, producing an original in both shape and color. The glass parts of Soap mini are mouth-blown into a mould thus the intensity of color may slightly vary. After studying at the Glass school in Nový Bor, Ota Svoboda was part of the design duo Born in Bor. In 2013 Ota Svoboda joined Bomma. Being extremely skilled and gifted he soon became the head of product development and main internal driver of new design developments. He participated in the technological progress of every collection. He combines his creative vision with glass craftsmanship and technological know-how.